Go to admin – system – tools – advanced postcode manager – postcode settings. Check the option to Enter Text in different languages. Check the option Choose color scheme. You can select your color as per your theme. Try to have contrast color for best look. Go to admin – tools – advanced postcode manager – postcode settings. Check the option “Fields to show in postcode results”. So you can select the options as per your need. This is completely optional. It depends from store to store. On demo site, all settings are On. Hence you can see every details about the postcode. There is one option called “Ask for email“. This option is shown to customers when customers searches for postcode and not found in our list. So we ask for customer email to track them. And you can also know which new postcode customers is searching. If your payment methods are based on postcode then you must enable this feature “Payment Based Postcode“. 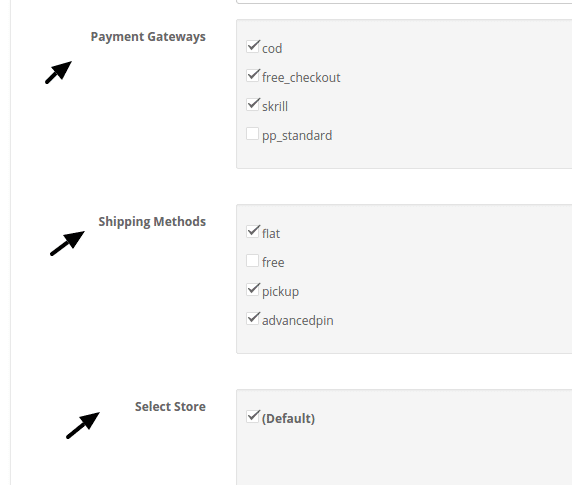 We will explain you two ways to add payment method to postcode that is through import and manual method. If you also want to allow customer to checkout when postcode is not found, then you can use the option “Payment When Postcode Not found“. You can add payment methods here that should be shown to customers when postcode is not found. If your shipping methods are based on postcode then you must enable this feature “Shipping Based Postcode“. 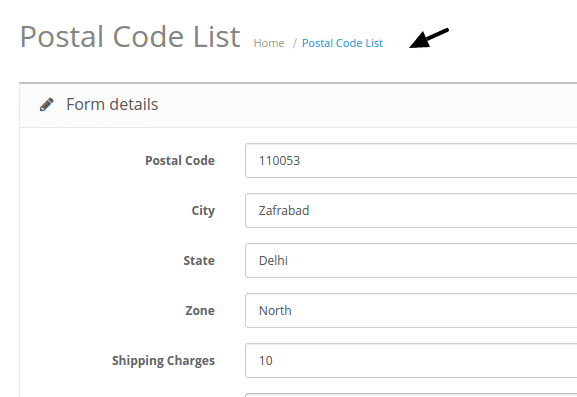 We will explain you two ways to add shipping method to postcode that is through import and manual method. If you also want to allow customers to checkout when postcode is not found, then you use the option “Shipping When Postcode Not found“. You can add shipping methods here that should be shown to customers when postcode is not found. Check Postcode On Registration : The field is used if you want to check postcode when customer registers your site. Check Postcode On Checkout : This field is used if you want to check postcode when customer wants to checkout. Postcode Search Box Above Add To Cart : This is special setting to directly show postcode search box above add to cart button on product page. 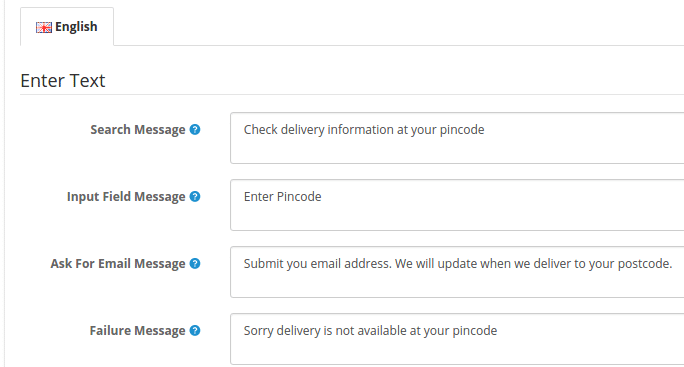 Display Cod message on product page: You can display cash on delivery message on product page based on pincode with this feature. Postcode Popup when customer visits : This field is used to display postcode search box in popup when customers visits the site. It is only shown once so customers are not irritated and is responsive with all templates. Wild card check : This field is added specially for UK/US customers when postcode is in format LS 121. So they can just enter LS in postcode list to allow checking for all variations of LS. 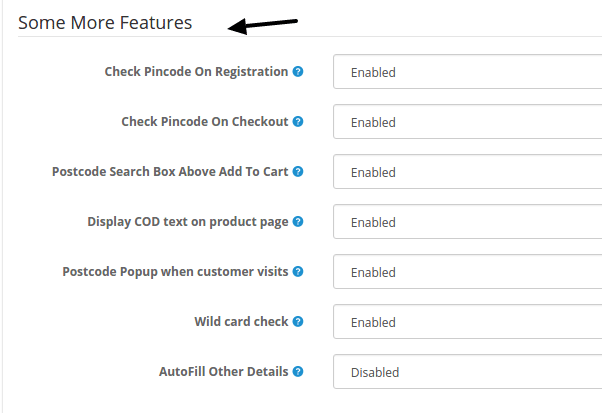 Auto Fill Other Details : This field is used if you want to fill city and state automatically on register / checkout page. It works when customer has entered postcode on postcode search box before going to register / checkout page. Exporting the reference template which can be used for importing. Go to admin – tools – advanced postcode manager – import / export postcode. Click on export postal codes button. One file shall be downloaded on your system. Open that file. This is your reference file. You need to add your postcodes here. For status you must keep it as 1. Now once you have made the file, it can be imported to system. Click on Import postal codes button. You should now see popup. If you have enabled payment based postcode and shipping based postcode, then those options can be seen in popup import. Select the payment and shipping methods for this list which you are uploading. So this methods shall be applied to all postcodes that are getting uploaded. Select the file which you had just edited. Click Upload button to import it. Don’t use special characters like quotes, comma in csv file. 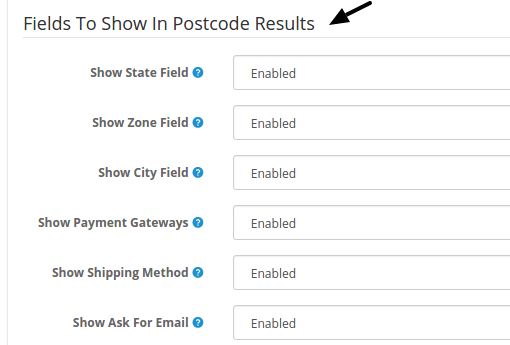 If you want to further edit the postcodes you can use postcode diary page. Go to admin – tools – advanced postcode manager – Postcode diary. Here you can add manually postcode by click on plus sign and filling the form. Click edit if you want to modify single postcode details. If you have been reading this post since start you will know you can add postcode search box above add to cart button using postcode settings page. But if you want to show postcode search box on home page, category page or information page, etc. then this steps shall be used. We use default open cart layout system for this. Go to admin – extension – modules – Postcode Check plus Manager. Click install and then click edit. Enable the status of Postcode manager. Now go to admin – design – layout. Now if you want to display postcode search box on say category page. Click Category – edit – select postcode manager from drop down and click save. Similarly you can show postcode manager at different location. If you want to show postcode search box with background image. Go to admin – extension – modules – Postcode Check plus Manager with Background image. Add the image you want to show in background. If small in size it shall be repeated across the width. Now if you want to display postcode search box on say home page. Click Home – edit – select postcode manager from drop down and click save.